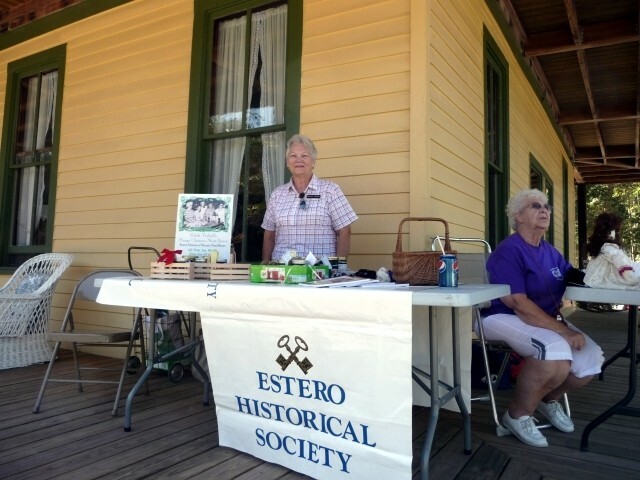 It’s that time of year when the Estero Historical Society has the delicious Mango Chutney Meat Sauce available for purchase. 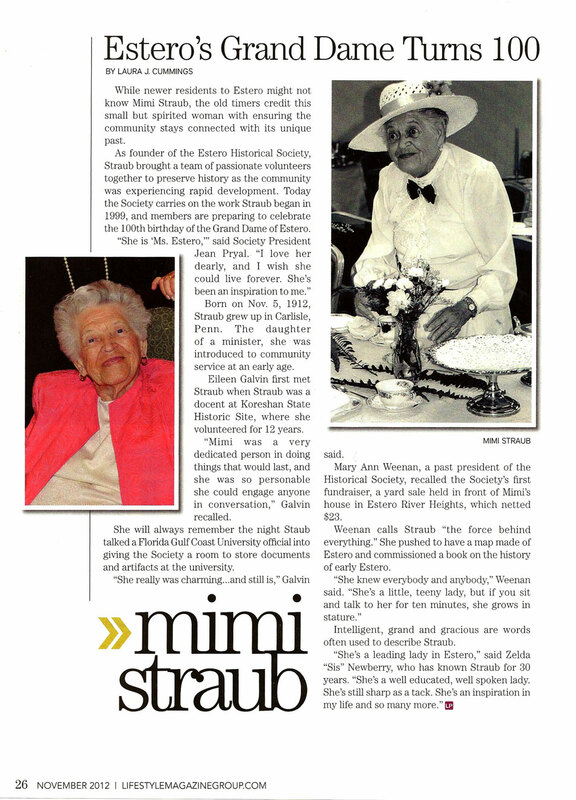 The recipe that we use is from the one and only Edith Trebell. 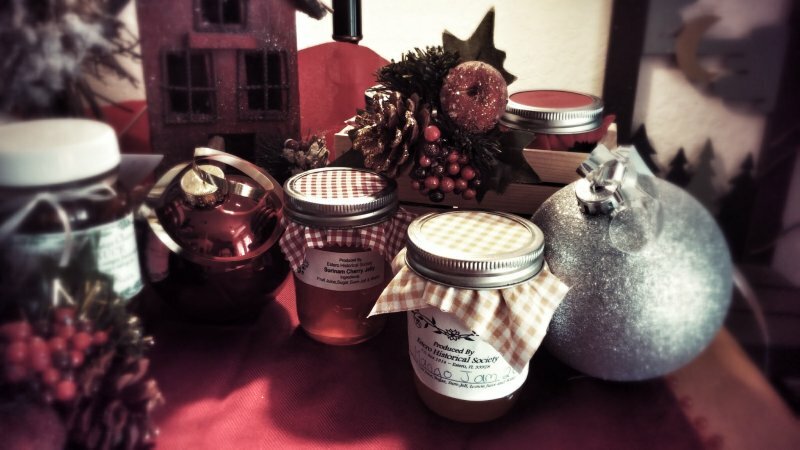 The Chutney comes in a 1/2 Pint $6.00, Pint Jar is $11.00 and a Quart Jar is $25.00. It makes a wonderful gift especially if you display them in a wooden crate which is also available for purchase at $3.00. The crate will hold two of the 1/2 pint jars of Chutney or Jelly. They are made by a local resident. 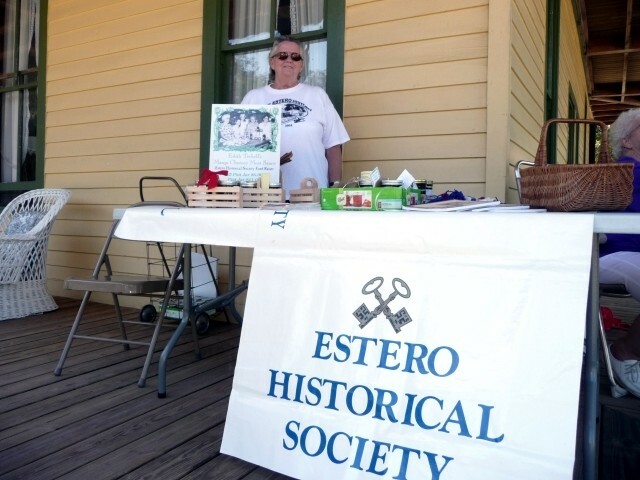 All proceeds go to the maintaining of both historical buildings. 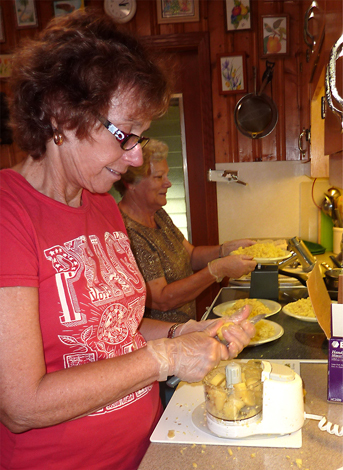 Mango Chutney Recipe by Marlene Fernandez After becoming involved with the Estero Historical Society. I realized they needed a good fundraiser and I had a great idea! Many years before my Mother-in-Law, Grace Fernandez, worked for Edith Trebell who owned the Tropical Fruit Products Inc. on 41 in Estero. 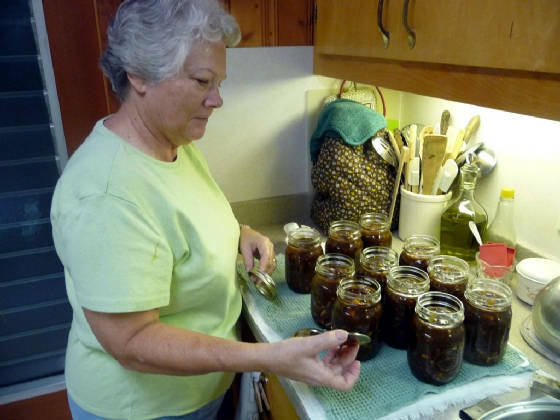 Mrs. Trebell produced the Mango Chutney and it was a very popular item in her jelly plant. So much so, that the Waldorf Astoria in New York City would have it shipped to them to serve to their patrons. The women who worked for Mrs. Trebell were from the Fernandez Family, Rosa Fernandez Soto, Grace Fernandez, Julia Soto Hall and Marjorie Mckewon Soto. 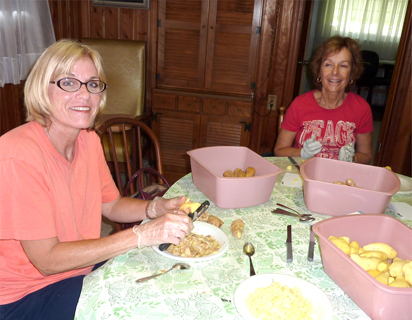 These ladies were given the recipe towards the end of Mrs. Trebell’s years. 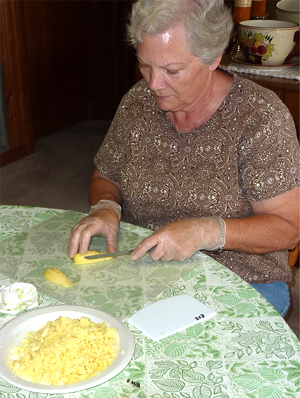 As faithful employees they were sworn to keep the recipe a secret and make it only for their families. My Mother-in-Law passed the process down to me and I have been making it ever since. 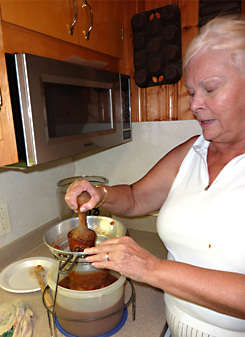 When I realized what a great idea I had I asked Ruth Mason (Edith’s niece) to join me and give the recipe to the Estero Historical Society. A contract was written by Mr. Tom Smoot, an attorney, and signed with Mary Ann Weenen accepting and Bill Grace attorney as a witness. The recipe was Edith Trebell’s where she got it, I am not sure. I believe it is an old Indian recipe she obtained from a friend. It doesn’t require any refrigeration, it ferments and melds it’s flavors this way. It is used as a condiment on all kinds of meat, fish and chicken. If you are a creative cook, you will find many more uses for it.